Austrian-born Ernest (Ernst) Dichter was one of the most important émigrés in the field of advertising and marketing psychology. Dichter studied psychology in Paris and Vienna where he was affiliated with Paul Lazarsfeld’s Research Center for Economic Psychology. His work focused on practical applications for depth psychology and psychoanalysis. After immigrating to the United States in 1937, he made a career for himself by conducting marketing research for corporations such as Proctor & Gamble. Along with Pierre Martineau and Herta Herzog, he is considered to be one of the pioneers of motivation research, which became a crucial tool for Madison Avenue advertisers during the 1950s. Rather than relying on empirical market research and polling, Dichter and other motivation researchers relied on in-depth interviews with smaller panels to uncover the hidden motivations of consumers. Their work was central to establishing the notion of “brand image” in marketing. Dichter helped inspire Exxon’s “Put a tiger in your tank” campaign that aimed to associate that animal’s renown for strength and virility with the company’s fuel. Dichter’s fame rests in part on his efforts to utilize Freudian concepts as well as sexual allusions and desires in advertising campaigns. For this, he drew on his Viennese background and his early work with Lazarsfeld’s institute. After working for advertising and media companies, Dichter established the independent Institute for Motivational Research in 1947. In the postwar decades he became a high-profile consultant to corporations on both sides of the Atlantic as well as a prolific and enthusiastic commentator on American mass consumer culture. Dichter's company helped popularize what had by now become "American" marketing strategies such as image branding and motivational research in postwar Europe. 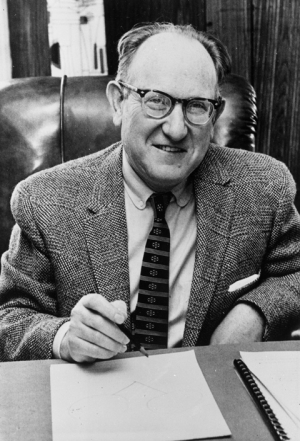 His success and visibility also made him a target for critics of postwar consumer culture and Vance Packard attacked him in his 1957 expose as one of the “hidden persuaders” manipulating consumers. Dichter, Ernest. Getting Motivated by Ernest Dichter: The Secret Behind Individual Motivations by the Man Who Was Not Afraid to Ask “Why?”. New York: Pergamon Press, 1979. Dichter, Ernest. Handbook of Consumer Motivations; The Psychology of the World of Objects. New York: McGraw-Hill, 1964. Dichter, Ernest. The Psychology of Everyday Living. New York: Barnes & Noble, 1947. Dichter, Ernest. The Strategy of Desire. Garden City: Doubleday, 1960. Gries, Rainer. Ernest Dichter - Doyen der Verführer. Vienna: Mucha, 2007. Gries, Rainer. Die Geburt des Werbeexperten aus dem Geist der Psychologie: Der ‘Motivforscher’ Ernest W. Dichter als Experte der Moderne. Frankfurt: Campus, 2004. Kreuzer, Franz. A Tiger in the Tank: Ernest Dichter: an Austrian Advertising Guru. Riverside: Ariadne Press, 2007. Samuel, Lawrence. Freud on Madison Avenue: Motivation Research and Subliminal Advertising in America. Philadelphia: University of Pennsylvania Press, 2010. Schwarzkopf, Stefan, and Rainer Gries. Ernest Dichter and Motivation Research: New Perspectives on the Making of Post-War Consumer Culture. New York: Palgrave Macmillan, 2010. Ernest Dichter-Archiv, Universitätsbibliothek Wien, Vienna, Austria. Ernest Dichter Papers, Hagley Museum and Archive, Wilmington, DE.